5LINX is proud to announce the addition of two new flavor blends along with two new decaffeinated flavors to our successful MontaVida coffee and tea brand. MontaVida is now featuring an Ethiopian Sidamo blend and Wild Burundi blend of coffees. These wonderful blends come from the regions in which they were named for. Ethiopian Sidamo comes from what many call the “birth place of coffee” and brings you a fruity, floral and tangy aroma, which makes this perfect for the everyday coffee drinker. Our new Wild Burundi features a nice floral, hazelnut and dark chocolate aroma, a definite “World Class Coffee”. In addition to these two new blends we are happy to have taken two of our favorites and made them decaffeinated, French Vanilla and Hazelnut Crème. Now you can enjoy the same great flavors minus the caffeine, perfect a night cap. 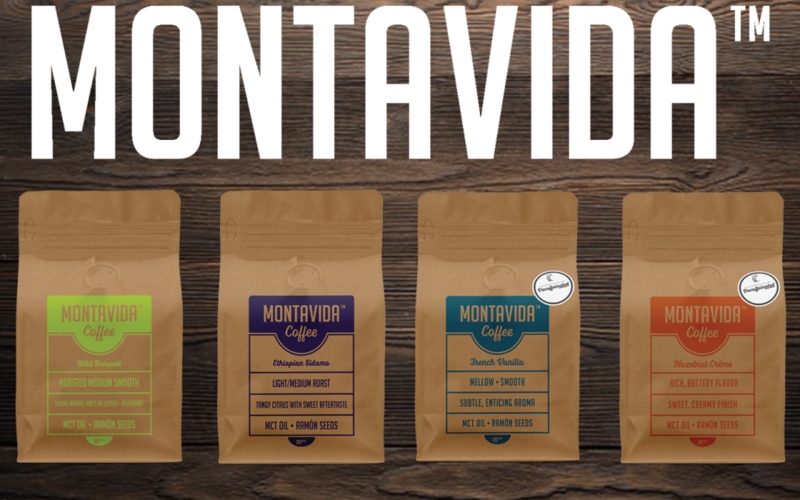 All new and existing flavors include MontaVida’s signature healthy blend of ramón seeds and MCT oil. Studies have shown that MCT (medium chain triglyceride) oil has numerous health benefits, including better weight management, while ramón seeds provide a significant source of antioxidants and a variety of additional nutrients.